I was flipping through Twitter earlier today when I seen a tweet from @rogerkver about the Wikileaks trove of documents being available at https://wikileaks.cash/. This was exciting because we need more ways of sharing important information that others may want to censor. How this has anything to do with BitcoinCash is beyond me but I guess he may as well tie that in while he can. Regardless the documents are really being hosted in the InterPlanetary File System or IPFS. Most Steemians will be familiar with IPFS since it’s used to store D.tube videos. While video storage is an excellent use of the IPFS protocol it’s storage can be used for far more than just videos. You can even host a full website from IPFS. I’d assume the main reason that @heimindanger chose this route for DTube is for it’s censorship resistance. Since IPFS acts as a peer 2 peer system it would be very hard to take down any content of value as it can be hosted on many different nodes that all interact with one another. This makes it a great place for storing DTube content that needs to avoid censorship but also a great place for storing public copies of some of government’s most coveted secrets. Since IPFS is essentially a big version of BitTorrent, it helps when there’s more peers available to find documents. This means when a document is called it doesn’t have to search through countless nodes to find something but instead may locate multiple nodes willing to give a portion of the documents up at the same time. This decreases the download time and also provides redundant support in case other nodes go offline. After you get your IPFS server setup then you’ll want to download and pin the files. This allows your machine to store a copy on itself and let other peers know that it has the files available when they need them. For a quick guide you can read @deadalnix’s tweet which makes for an easy guide on doing this once you’re setup. 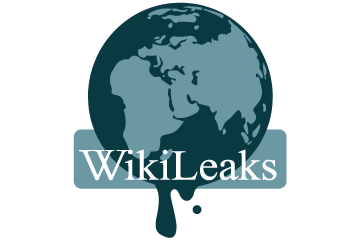 You can help spread the wikileaks archives by running an ipfs node. Want to really support Assange? Tell others what’s going on! I’ve talked with so few people who actually understand what Assange has done and has not done. The more we share with regular people the truth on Wikileaks and who the real bad guys are then the more we are really spreading Assange’s message and will be able to truly help him. It’s going to take a show of deep support to make Trump see that siding with the deep state will only lead to upset Americans willing to let someone else be our President.